Alien is SF horror classic. dark-gloomy-claustofobic and epic-magnificent-shiny at same time... 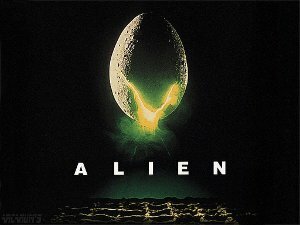 In the beginning was the Alien (1979) directed by Ridley Scott. Ripley and her cat are the only survivors. 1986, James Cameron directed Aliens and on the end of the movie, Ripley, Corporal Hicks, little girl Newt and one half of the android survive. 1992 in Alien 3, directed by David Fincher, Hicks and Newt died in the beginning, half of the android somewhere in the middle of the film and Ripley died at the end of the film. 1997 in Alien Resurrection directed by Jean - Pierre Jeunet, Ripley returns as a mutant clone and remains alive until the end of the film. Then you have additional Alien vs. Predator (AVP) from 2004 and Aliens vs. Predator: Requiem from 2007 where creatures are additionally described and brought together in spectacular fights. Sigourney Weaver, as a star of all Alien films, did not appear in the Alien vs. Predator crossovers but expressed interest in doing a fifth Alien film. Alien is SF horror classic and all following parts must be simply seen because of the real stars of the movies: because of aliens. Those reptilians with razor sharp teeth are dripping saliva and combined with maze of dark passages on space ships or old mines are leaving horrific impact on viewers. Aliens anthology is cocktail of concept, story, character and tone and will go under your skin when you start to watch them. And do not forget: In Space, No One Can Hear You Scream. RipleyRules: "Must see for all sf fans... Some are better, some are not but all are fun and Sigourney Weaver is great in all." anonymous: "steel melting acidic drool is what it seems to be... just run away"
anonymous: "classic science fiction, also they dont make them like this anymore :("
Solve this complex math: 3 + 9 = ?